Australia is big in the Instagram world. 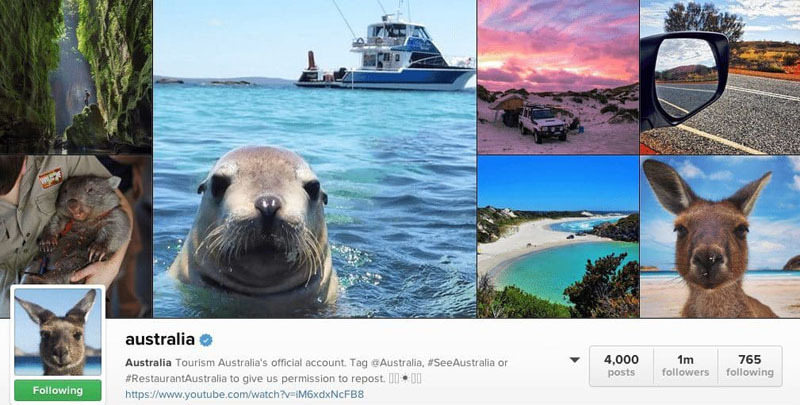 The Australia Instagram account of the Australian tourism board is probably the biggest and best of all the tourism boards in the world with 1 million followers! What we love about them is that they are interactive. They pay attention to who is visiting their country and they talk to their followers. If you have a really great photo of anywhere in Australia on your Instagram feed and you tag it with #SeeAustralia, they just may feature it! The Australian Instagram account really captures the beauty and adventurous side of the country and it makes you want to travel to the land down under. Can you believe it was nearly a year ago that we were in Australia enjoying the Sunshine Coast of Queensland. It was there that we met some of their top Instagrammers. 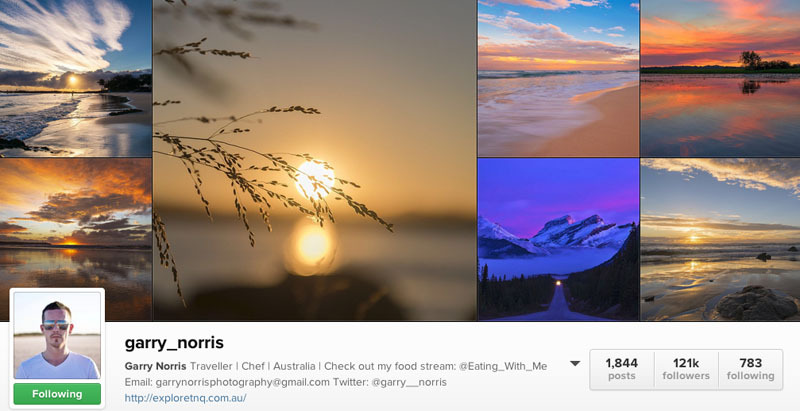 It just so happens that many of the top Instagrammers in Australia are also the top Instagrammers in the world of travel! The Australian photographers are talented, professional, generous, and most of all fun! 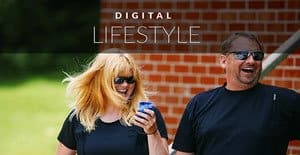 We were so inspired by them, we decided to take our Instagram careers more seriously and have been working hard ever since to bring our own photography on Instagram up to the next level. This is a thank you to these Instagram photographers for inspiring us! Garry was the first person to reach out to us during our stay at Peppers Broadbeach Hotel on the Gold Coast. He came over for a coffee and we chatted about photography, travel, and life. He invited us out for an early morning photo shoot at The Spit. I (Deb) was busy posting Instagram photos immediately from my iPhone while everyone else took their time shooting proper images on their DSLRs. That's when we learned that it was ok to post proper photography on Instagram rather than always posting snapshots from our phone. Thanks Garry! Matt has become a good Instagram friend and we can't wait to meet him in person. His time-lapse photography is what initially caught our eye, but it's the whole package that keeps us coming back. He's a super generous guy, always giving people a helping hand. Follow this Instagram account if you want to see outstanding photography. We didn't meet Jewlzee while on the Gold Coast of Queensland, but we followed her after everyone recommended her to us. We have since become good online Instagram friends. She's very active and supportive and we look forward to her photos each morning. 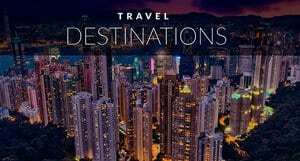 Jewels has beautiful images that inspire us every day to travel the world. We loved Rikerama's energy and then when we saw her Instagram feed, we loved her photography too! Wow. Rikerama has an amazing collection of varied photographs from wildlife, landscapes, and people. We've become good Instagram friends with Rikerama as well and her comments always make us smile. Lauren definitely has the highest numbers out of all the Instagrammers in Australia. She's been featured in many top lists of Instagrammers to follow and she is known as Australia's first professional Instagrammer. With all those accolades, you'd think she'd be unreachable. But when we met her in Queensland, she was so open and fun to talk to. She talked about her business, her goals and life in general. Lauren is an all around great gal and an excellent photographer to follow on Instagram. Glen has a beautiful Instagram feed. He may not have the numbers of the people above, but numbers don't mean everything. There are so many amazing photographers on Instagram that have smaller followings. Fewer followers doesn't mean less talent. We met him the same day we went out with Garry and he was welcoming and fun and we've kept in touch with him ever since. If you've ever looked at our Instagram feed you'll know that we really love saturated colours. Instagram is a place to play with your photography. To bring out the reds and purple hues, try different filters and go for something different. 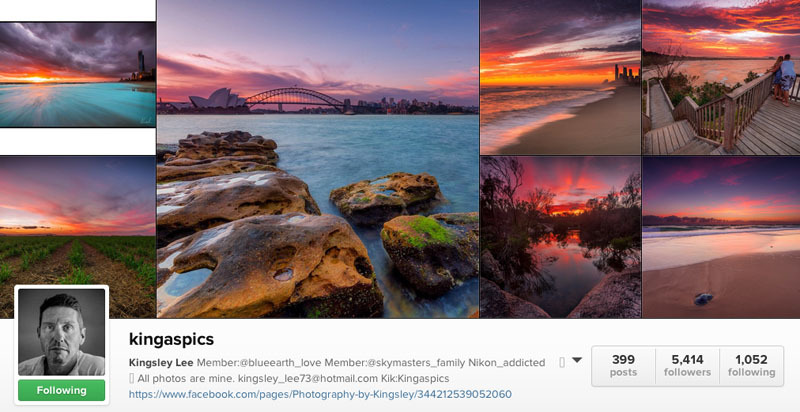 We love the rich colours of Kingsley's photographs. We were lucky enough to meet the people behind the Queensland Instagram account and they are fabulous! Queensland is such a photogenic state that they never run out of things to show off. If you have photos of Queensland in your feed, be sure to tag them with #thisisqueensland and you may just be lucky enough to get a feature on their very inspiring feed! Ok, so YoungAdventuress may not be Australian, but she is there a lot, and she's based right next door in New Zealand. We don't know of any other New Zealand Instagrammers so we wanted to include Liz in this list because I don't think we'll be doing a New Zealand version anytime soon. 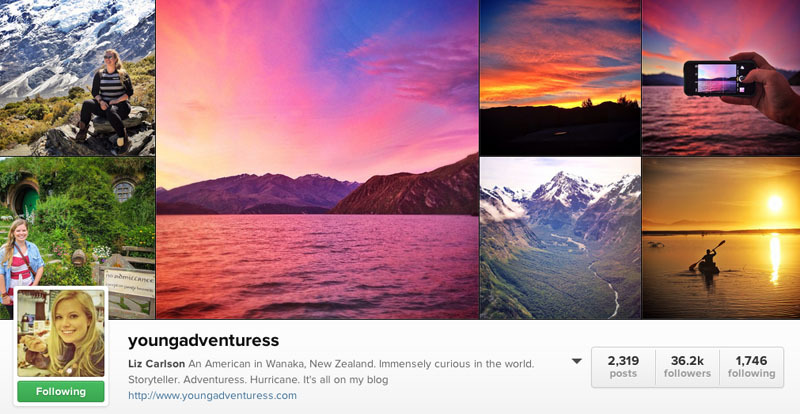 We started following YoungAdventuress last year while we were both in Queensland, Australia at the same time. So we tend to think of her when we think of Australian Instagrammers. Her images capture her travels and personality perfectly. There is nothing worse than meeting your favourite travel blogger or favourite travel photographer and finding out they are not as they seem. Liz, is exactly as she seems…fun, adventurous, talented, and determined. 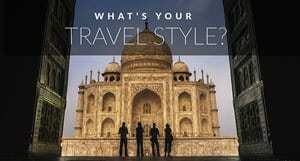 I know we'll have missed some amazing travel Instagrammers in this list and we do apologize. If we've missed you or someone you love to follow, leave their Instagram handle in the comments, we'll check them out! 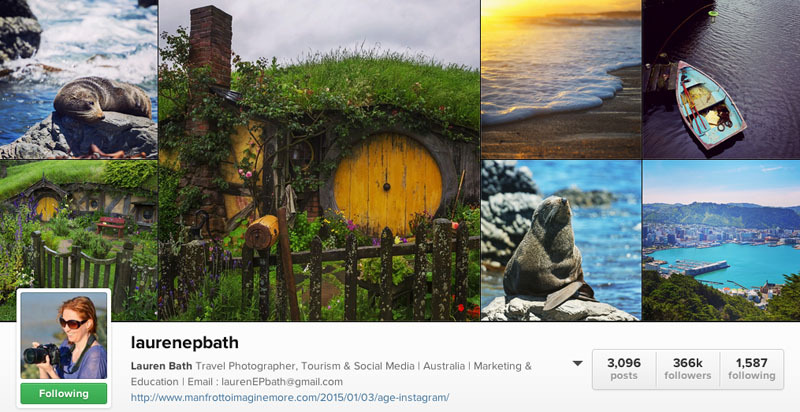 If you are from Australia and would like to leave your Instagram account, please do so, we love finding new and inspiring Instagram accounts to follow. If you aren't following us, check out our feed on Instagram and make sure to leave a comment and say hello so we can check yours too! 24 Responses to "Top Instagrammers to follow – The Australian Travel Version"
Creative photography! Thanks for sharing for your experience. My favourite Aussie Instagram feed is @chrisp78_ his photos are really amazing! Definitely check him out. The best account I’ve seen. Thanks for the tips on the others, will follow them. Thanks for sharing, I will check him out for sure! Can I recommend two more? ???? Both have amazing feeds ???????? Great list Dave & Deb! I’m proud to call all the Aussies you listed my friends and great fun to shoot with! @kpinko Kylie is another Queenslander from the Gold Coast. Her gallery is stunning! @1magemaker @tony.irving & @garyphayes are all from Sydney and showcase the area beautifully as well as other places they travel. @lovethywalrus @lifecatchme & @miaglastonbury have fabulous accounts that showcase Tasmania brilliantly, as well as other places they visit within Australia or overseas. What a great list of Aussies IGers. As an Aussie living abroad it makes me homesick just looking at all their photos! I would also recommend @leftofthemiddle @davemc_ @1magemaker they have brilliant feeds and love a chat! Cheers?? Thanks Emma! I will check them out. I love getting more recommendations. The Aussies really are the leaders at Instagram. We learned so much from them and we’re inspired by these feeds every day. I can’t wait to start following all of the others recommended in these comments. Do you have an instagram account? Love this article! I am a long term fan and follower of Rikerama, Jewelszee and Laurenepbath, so I was thrilled, but not at all surprised to find this trio of friends and brilliant photographers on your list. They represent your wonderful country beautifully with both their awesome photography, and winning personalities. I’m from the USA, but will definitely be visiting Oz. Fantastic and thanks for sharing the whereswiwi and lifeatchme. 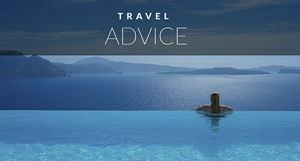 As we said we don’t know everyone and it is great to get recommendations from other people. there are so many inspiring feeds out there that we don’t know about yet. Check out @TravelOutbackAustralia – not only are these guys actually living in the outback, they have an amazing instagram account. Yes, you must visit Queensland, you are going to love it! Awesome list! Has given me a few new IG’ers to follow! Awesome! 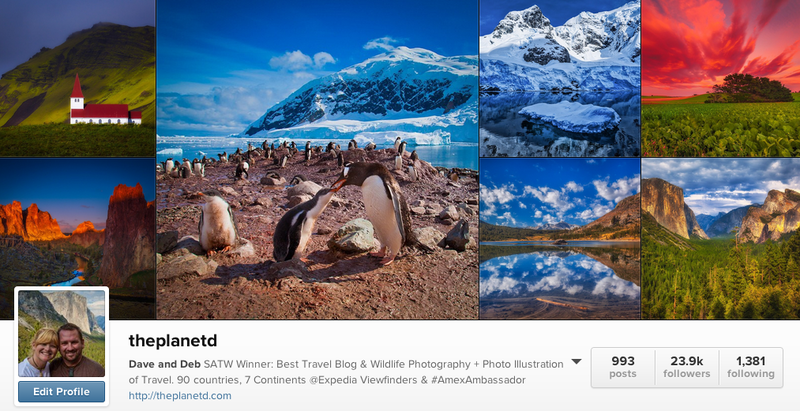 Glad we could introduce you to some new Instagrammers! Beautiful pics, but I’m seeing way too many sunsets and landscapes, a bit cliche. maybe its an AUS thing, would be nice to see more variety, people, archtecture, culture, etc. It is definitely an Australian thing. The sunsets and sunrises are so beautiful there it’s impossible not to share them. We couldnt’ get enough of them while visiting Queensland. That’s what we loved so much about them. Dying to see New Zealand! Glad we could introduce you to a couple more! Cheers. This is a really great list! I hadn’t heard of most of them, but I’ll definitely follow from now on. You should check out Gary Pepper Girl; she’s Australian and her photos are magnetic! Thanks for the heads up, we’ll definitely check out Gary Pepper Girl. We’re always looking for more inspiring photographers to follow. Cheers!